If you’re looking to get into property investing or move up to the next rung of the ladder, here are some words of advice on how to invest in property. Property investment is simple, but not easy – and that’s not a play on words. In other words it’s not something you should enter into lightly, but for some reason, that’s what a lot of people who have dreams of making millions with real estate do. 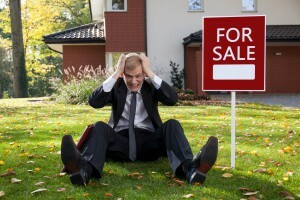 The fact is, most property investors fail. Well the stats show that around 50 per cent of people who buy an investment property sell up in the first five years, and of those who stay in the game, 90 per cent never get past owning one or two properties. These statistics suggest that in fact, many Australians don’t know how to invest in property effectively. I want to make finding the right information as easy as possible. If you’re in a hurry you can just click sub-topics below and conveniently jump to information that’s relevant to you. 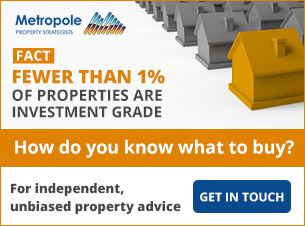 Why get involved in property investment? 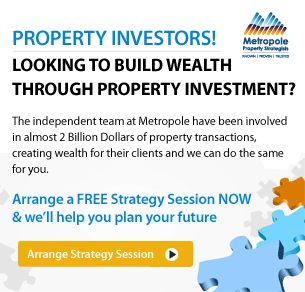 Why choose investment property instead of other asset classes? 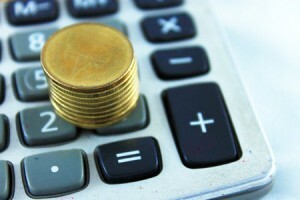 Capital growth or cash flow – which is better? What are the risks of property investment? Should you invest in houses or an apartment? New or old – Which are the best property investments? How much should you budget for repairs and maintenance? 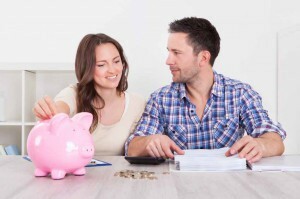 Should you manage your property yourself to save money? Some reluctant Australians are asking, is it worth investing in property? Despite the current downturn in house prices in some property markets, particularly Sydney and Melbourne, there are still many reasons why making a long-term investment in Australian can build your overall wealth. For one, based on historical data, investing in real estate provides above average returns than many asset classes in Australia. Investment property in Australia has enjoyed a strong average annual growth rate and future demand is also a given, thanks to the increasing population and declining household size. BIS Shrapnel forecasts reveal that huge housing demand lies ahead, with an additional 620,000 households required across the country by the year 2030. This demand will continue to prop up real estate prices, while our changing demographics will ensure a steady stream of tenants. In addition, the Australian government offers generous tax advantages through negative gearing, which is used by many average Australians and high-income earners to reduce their taxable income. Whilst some caution that you shouldn’t put all your eggs in one basket, many Australians prefer to invest in real estate because of its distinct advantages over other asset classes. 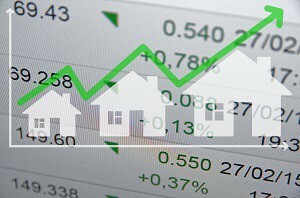 Investing in shares may yield attractive long-term returns, but it is considered to be more volatile and unpredictable than the property market. Hence, it doesn’t sit well for low-risk takers, especially those who have no idea how the share market works. Though you can study the share market, it still requires specialist expertise to know how to invest and invest wisely. This can be very costly. It’s also possible to make huge losses virtually overnight in the share market, whereas property is a more consistent asset class. Investing in term deposit savings accounts entails low risk, but it also yields minimal rewards. One of the big benefits of investing in residential real estate is that the market is dominated by non-investors (homeowners) who don’t think like investors and add stability to residential real estate prices. 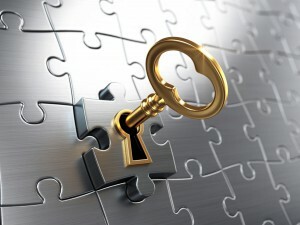 Knowing how to invest in property is the key. You can profit from real estate in one of four ways, and if you get the combination right you’ll make money from bricks and mortar. Cash Flow: In other words your rent. Tax benefits: While you should never invest solely for this reason; a good tax strategy can help you manage your cash flow, decrease your tax obligations and increase your bottom line. 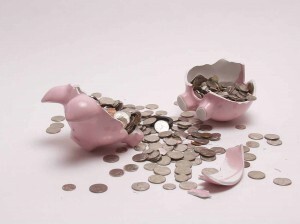 Inflation – property investors have learned it’s too hard to make money using your own money. Instead they have learned to use other people’s money to leverage and gear. In other words they take on a mortgage. However over time inflation erodes the value of the mortgage. For example, so you take a $400,000 mortgage on your $500,000 property today – in 10 years time your property could be worth $1 million and you still have a mortgage of $400,000 (assuming interest only payments) however in 10 years time your $400,000 won’t be worth as much as due to inflation. 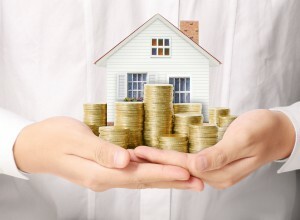 Compared to other forms, property investing is a safe and proven method for growing your wealth. Strong historical performance: Residential property outperformed all other investment types, including shares over the past 20 years. 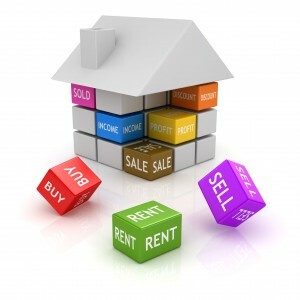 Control: Property is a great investment because you have direct control over the returns from it. One of the major benefits is that you can manage your assets rather than leaving the decisions to a large corporation or fund manager.What this means is, you can improve your property or buy a property with a twist that will give you quick capital growth. If your property is not producing good returns, you can add value through renovations or adding furniture to make it more desirable to tenants.In other words, you can directly influence your return by taking an interest in your property, understanding and meeting the needs of your prospective tenants. Leverage: One of the special things about property is that banks will lend you up to 80% of the value of the property, enabling you to use other people’s money to buy larger amounts of your investment. Tax advantages: Investment properties offer large tax advantages including depreciation and the possibility of negative gearing if it is appropriate for you. Security: It is often said that residential real estate offers the security of bricks and mortar. What this means is that houses don’t “go broke” like companies or shares do.This is partly due to the size of the residential market and also the fact that just under 70% of the people that own properties are not investors, but are owner occupiers. The residential market is the only investment market that is not dominated by investors and this provides a built in safety net. Income: The rental income you receive from your property allows you to borrow and get the benefits of leverage by helping pay the interest on your mortgage. Property is forgiving. Even if you bought the worst property at the worst possible time, chances are it will still go up in value over the next years. 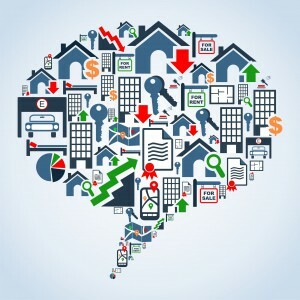 History has proved that real estate is possibly the most forgiving asset over time. 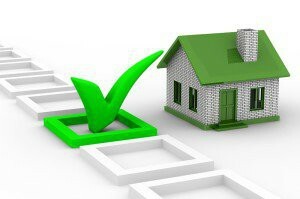 If you are prepared to hold an investment property over a number of years it is bound to rise in value. You can insure for many of the risks: Not just building insurance, but smart investors take out landlords insurance to protect their interests. High entry costs: With property prices constantly on the rise it continually gets harder and harder to get into the market. This high entry costs keeps a lot of investors out and makes it hard to begin if you don’t have a savings discipline and a bit of money behind you. Ongoing and additional costs: Investment property carries with it ongoing costs like insurance costs, council rates, mortgage repayments, maintenance, renovations etc. These expenses may be regular or may come as a surprise when you least expect it. And if you own a high growth property, it is likely that in the early years the rental income will not be able to completely cover your expenses. While many investors top up this negative cash flow from their savings, savvy investors set up cash flow buffers in a line of credit or offset account to cover their negative gearing. Tenant Problems: Despite engaging the best property managers to look after your property, you can still have tenant problems or periods of rental vacancy, which unless you have the protection of landlord insurance or cash flow buffers can put a dent into your finances. Property is illiquid and lumpy: It takes time to sell and you can’t simply sell off one part of the house and convert it to cash. Accumulation Phase: This is the stage where you build a portfolio of high growth “investment grade” properties, usually over a 10 – 15 year period. Lifestyle Phase: This phase is all about enjoying your life living off the cash machine you have produced in the first 3 phases. When it comes to real estate investment you’ll often hear two somewhat conflicting philosophies being bandied around. Firstly, there is the “Cash flow” followers; they suggest you should invest in property that has the capacity to generate high rental returns to achieve positive cash flow. Then there’s the “Capital Growth” crew. Their favoured strategy is to invest for capital growth over cash flow. Investment properties in Australia with higher capital growth usually have lower rental returns. Remember, I just explained the first phase of wealth accumulation is the stage of asset accumulation and it’s just too hard to save your way to wealth. Especially on the measly after tax positive cash flow you can get in today’s property market. And in a rising interest rate environment, an investment property that is cash flow positive one day may be cash flow negative the next. My advice for budding investors is to understand that wealth from real estate is not derived from income because residential properties are not high-yielding investments. If you seek a short term fix with cash flow positive properties, you’ll struggle to grow a future cash machine from your property – it’s just that simple. But it’s all about knowing how to invest in property that can achieve both high returns (cash flow) and capital growth by renovating or developing your high growth properties. Put simply… cash flow keeps you in the game while capital growth gets you out of the rat race. The property market moves in cycles and at times there are external factors that cause a market wide slowdown or downturn. Investors who focus on a long investment time horizon weather these storms as capital city markets eventually correct and recover. Liquidity is the ease in which you gain access to the money you have within an investment. One disadvantage of real estate investments is the lack of liquidity compared to other types of investments. Your situation may change abruptly due to a change in life circumstances, but you may be stuck with your property for several months or years, depending on the local market cycle and your financial situation/requirements. A rise in interest rates will affect variable rate mortgages, meaning the cost of your debt can increase as interest rates climb, putting a strain on your cash flow. Most properties are not “investment grade” and if you didn’t do enough due diligence and buy the wrong property in the wrong area at the wrong time, you could face years of slow or no growth or worst, no income due to a high vacancy in the area. If your tenant leaves and you could face cash flow squeeze for a short while and if you lose your job you may be unable to top up you’re the rent to meet your mortgage repayments. Foreign buyers who are investing in property in Australia are also subjecting themselves to currency risk, which is dependent on the movement of the Australian dollar. There are also sovereign or legislative risks in the property market, as any unfavourable government action can result in investment losses. 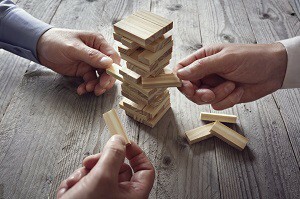 A good example of this is the possibility of changing negative gearing rules – which seems to come into discussion each year around budget time – a move that would substantially investor confidence. As you can see any investment property strategy involves some level of risk. So knowing how to invest means knowing how to minimise these risks. One way of minimising their risk is to have a financial buffer in place (with funds in an offset account) for your personal needs as well as for any unexpected investment expenses. 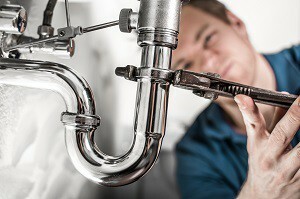 This will allow you to keep their properties well maintained and cope to with any unexpected maintenance or vacancies. All property investors should also consider taking out income protection and life insurance as well as landlord’s insurance to protect their interests. Of course, the reason behind this recommendation is that one of the most important factors in an investor’s ability to keep growing their property portfolio is the ability to service their loans and use their income to supplement the rental shortfall in the early years. Without an income, you may not be able to hold on to your properties. Similarly, if you die, you would need to consider how your spouse would be able to continue holding the investment properties. So, I suggest you need to make sure they have insurance to sufficiently cover mortgage repayments if the worst should happen. I’d also recommend that you seek advice from an accountant before purchasing an investment real estate to ensure you buy it in the most tax-effective manner. Once you’ve bought your investment property you’ll need to arrange an investment property depreciation schedule to ensure you claim the most in deductions. And no matter your age, it’s wise to consider estate planning because, while we never like to talk about it, it’s important to plan to look after your family after you’re gone. This means you should see a solicitor and prepare a will, chose executors and organise a power of attorney. Finally, it’s important to treat your investments like a business and regularly review your portfolio with your property strategist to track its performance, ensure you have the right loans and best interest rates, and assess when you’re ready for your next acquisition. 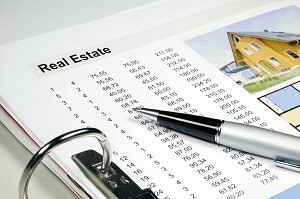 There are several real estate investment types in the market that you can choose from as an investor. One of the most popular is the freestanding house, which serves as a great home for tenants looking to raise a family. A moderate-sized family home in the right suburb that is pet-friendly and with a fenced backyard often commands a high price in the rental market and delivers consist ant capital growth because it is in strong demand by owner occupiers. However, our changing demographics means more families are trading their backyard for a balcony, so if you want to target singles, couples, students, young professionals and retirees, you could invest in a unit or apartment that best suits their busy lifestyles. The location is of utmost importance in these properties, as tenants prefer a place that is close to their university or workplace and is easily accessible to public transport. While some people invest in a holiday home, in my mind these make poor investments as they are in seasonal demand and may remain untenanted for long periods of time, and their values fluctuate considerably depending upon the general economic cycle. You see…when times are tough no one really wants to (or can afford to) buy a holiday home. Townhouses – an increasingly popular style of accommodation for a wide demographic. Student accommodation and serviced apartments – these make terrible investments. Enough said! Understanding the market for each type of investment property is the key to knowing how to invest effectively. It’s also worth seeking market updates from a real estate agent and investment advice from a buyers agent. As an investor, it’s important to understand that location does most of the heavy lifting for your real estate investment success. Around eighty percent of your property’s performance will be due to buying in the right location and the balance by owning the right property, an “investment grade” property that suits the fundamental demographic in that location. That’s why I suggest following my advice of a strategic top down approach to finding a property that will outperform the general market. I start by looking at the macro economic environment – the big picture of how Australia’s economy is performing and in general the outlook is good – especially in the eastern states. Then I look for the right state in which to invest – one that will outperform the Australian market averages because of its economic growth and population growth. It is likely that both Sydney and Melbourne will strongly outperform the other states – they’re forecast to deliver around two thirds of the new jobs over the next few years. Then within that state, I only invest in the capital cities and not in regional areas – again because that’s where the bulk of the jobs will be created and where most people are going to want to live. I would look for the right suburb for your investment property – one that has a long history of outperforming the averages.It’s all about demographics, as these suburbs tend to be areas where more owner-occupiers want to live because of lifestyle choices and where the locals will be prepared to, and can afford to, pay a premium to live because they have higher disposable incomes.In general, they’re the more affluent inner- and middle-ring suburbs of our big capital cities, so I check the census statistics to find suburbs where wages growth is above average. Then I look for the right location within that suburb. Some livable streets will always outperform others and in those streets, some properties will always be more desirable than others and outperform as investments by increasing in value. The right price. 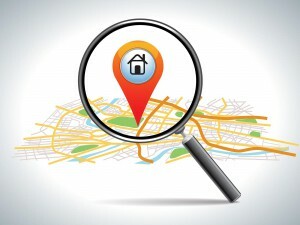 I’m not suggesting you look for a “cheap” property – there will always be cheap properties around in secondary locations. I’m suggesting you look for the right property at a good price. So how do they know which is the right property to buy? My property investment advice is to follow the 6 Stranded Strategic Approach. I would buy a property that would appeal to owner occupiers because owner occupiers will buy similar properties pushing up local real estate values. This will be particularly important over the next few years when the percentage of investors in the market is likely to diminish. I would buy a property below its intrinsic value – that’s why I would avoid investing in new and off the plan properties which come at a premium price. I buy a property with a high land to asset ratio – but this does not necessarily mean a large plot of land. Well located apartments have an attributable significant land component under them. I buy a property where I can manufacture capital growth through renovations or redevelopment rather than relying on the market to do the heavy lifting. Each strand represents a way of making money from property and combining all six is a powerful way of putting the odds in my favour. 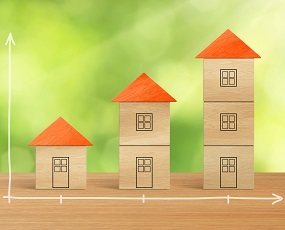 If one strand lets me down, I have four or five others supporting my property’s performance. When you look at it this way, property investment strategy takes a lot of time, effort, research and something most investors never attain – perspective. This is invaluable in knowing how to invest in real estate. What I mean by this if you can gain a lot of knowledge over the Internet or by reading books or magazines but what you can’t gain is experience. 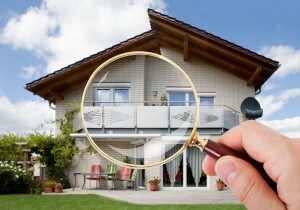 It takes many years to develop the perspective to understand what makes an investment grade property. That’s why I recommend employing a property strategist to guide them. By the way… This is not a buyer’s agent, even though a buyer’s agent will be involved eventually to purchase the property. A property strategist will take a macro view on your needs and will devise an initial strategy, hopefully along the lines of what I’m outlining here, and then will help you implement this strategy by coordinating the various consultants including a buyer’s agent. Following the herd and buying when everyone else is on the property bandwagon doesn’t always work. That’s often when the market is near its peak. 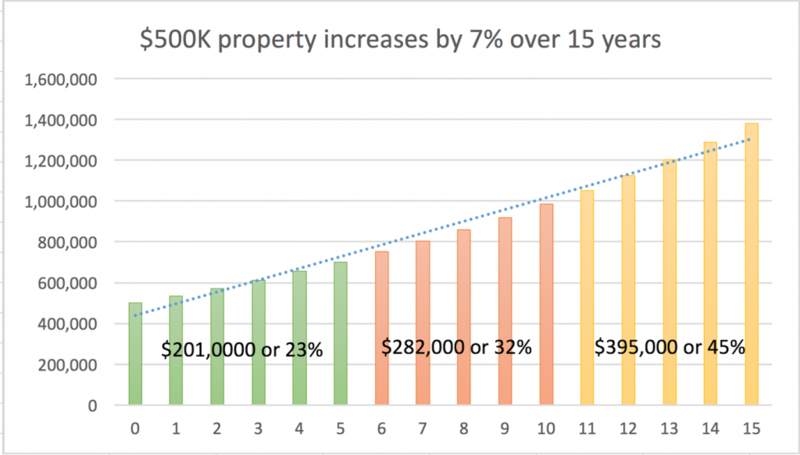 As you can see from the graphic below, if your $500,000 investment property increases in value by 7% per annum, it will be worth almost $1.4 million in 15 years’ time, but almost half of this capital growth will occur in the last five years. This means the sooner you start your real estate investment journey the better because you’ll have time and compounding working longer for you. There is no hard and fast rule when it comes to choosing between a house or an apartment for the best property investment. Both make great investments if they are in the correct location so the answer usually comes down to the investor’s budget. If you can afford a house in a good location, then that’s probably the way to go. But if your budget doesn’t allow you to buy a house in the right location, I’d rather own an apartment in a good suburb, than a house in the outer suburbs. I’ve already explained that around 80% of your investment’s performance will be due to its location and about 20% due to owning the right property in that location. For many investors, apartments offer an affordable entry point into the property market. Inner suburban (not inner city or CBD) locations are highly sought after and provide both investment security and high rental yields. The affordability of apartments also helps diversify a property portfolio. That said, they can be open to over-supply risks if there are too many new developments being completed in your suburb. Just like the houses vs. apartments debate, old and new properties each have their own benefits. Let’s face it, when it comes to buying big ticket items we all love new, shiny things, but without a doubt, for the majority of investors, established properties will always offer far better capital growth potential than a new build for a whole number of reasons. So let’s take a look at the benefits of old versus new. 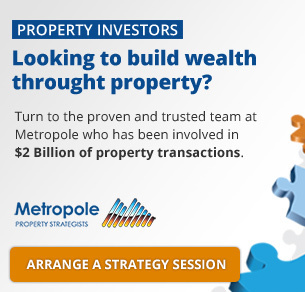 Obviously, when you buy a new property everything is already done for you and while this might seem appealing, it is actually a huge disadvantage.The problem is you have sacrificed the potential to add value, or “manufacture” capital growth, that comes with an established house or apartment.At Metropole, the ability to add value is one of the primary attributes we look for in an investment property. 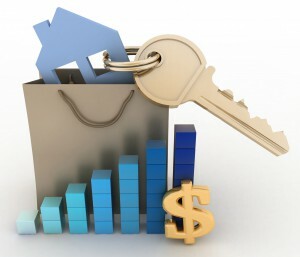 One of the most critical factors when it comes to investing advice in real estate is to know your market. 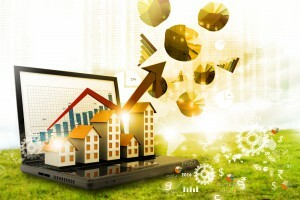 However, a new building doesn’t come with a track record of property price growth to help you make an informed decision when it comes to pricing.And don’t pay too much attention to what other inexperienced investors have already paid to buy into the complex – most will have overpaid and lose out in the long term. One of the big issues with new and in particular off the plan properties is that when the market slows, so too does your rate of growth. New apartments and houses are often the first to see prices soften when the overall market loses momentum.Often though, established homes will either maintain their value or experience a very minimal adjustment. So are there any disadvantages to buying established? Is there any point where purchasing a new build makes more financial sense? Some proponents of new properties will argue that you forego numerous depreciation benefits when you buy older homes. In response, I would argue that buying an established property and undertaking renovations creates (“manufactures”) additional depreciation benefits and more to the point; you should never buy an investment property for perceived tax benefits, it should always come down to the long term capital gains. Investing is really a game of finance so, when it comes to good property investment advice, a sound finance strategy is just as important as a sound investment property strategy. Without a well-rounded understanding of how to maximise your borrowing power, use equity to buy your investment, build your portfolio and maintain a financial buffer to see you through the difficult times that we all ultimately face, you’re setting yourself up to fail financially. This will often mean taking an interest only loan for your properties, because rather than paying the principal back each month (lowering your debt); the extra cash flow could be used to service a bigger debt and support a larger property portfolio. Topping the list of the most common property expenses for investors is loan repayments, the amount of which varies depending on the borrowed amount, loan type, loan term and loan service fees. 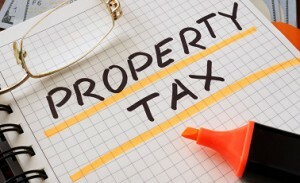 As you continue to hold and maintain your investment property, you may also need to pay for land tax and council rates, which vary by government area. For apartments and townhouses, there are also body corporate fees paid quarterly to assist in their upkeep. Building and landlord insurances are a must in limiting the financial impact of unforeseen circumstances, like sudden damage costs and tenant-related liabilities. Other fees to take into account include property management fees, advertising for new tenants, and repair and maintenance costs. One of the most difficult aspects of property management is anticipating the costs for maintenance and repairs. They can occur at any time, plus the expenses vary greatly depending on the age of the building, the nature of the repair, and any insurance policies in place. Furthermore, sometimes these costs are not tax deductible. Repairing an item – such as a cupboard door – is tax deductible. However, improving the same item – such as replacing all cupboard doors with a newer, more modern style – is considered a renovation, which is not immediately deductible. To create a budget for repairs and maintenance, it’s a good idea to estimate how much it might take to replace the ‘big ticket’ items throughout the property, such as dishwashers, hot water systems and carpet. Determine their current age and life expectancy. Based on those figures, calculate the remaining life expectancy of the item. Rank all the items in order of increasing estimated remaining life expectancy, and plan accordingly for these anticipated expenses in the next five years. One of the biggest reasons why investment property remains popular in Australia is the whole raft of tax benefits available. Now my advice is that you shouldn’t invest solely for tax benefits, but they’re a nice little bonus that makes keeping your property easier. Things like claiming legitimate business expenses of running your investment business as well as negative gearing, which allows investors to offset any shortfall between the rent that you collect from your property and the expenses that you pay for it against your other income. However, if you sell a property at a profit you’ll need to pay capital gains, but even this has adjustments, as you can currently benefit from a 50% discount on capital gains for a property that you’ve held for longer than 12 months. Renting out your property allows you to earn an income from your investment, but you really need to employ a proficient property manager so that your investment property is well maintained and continuously tenanted. Your property manager is responsible for a number of things, such as advertising your property, receiving enquiries during the leasing process, and screening and selecting tenants. They also help to make sure that your property is maintained, with repairs and updates performed as needed. Most importantly, as your property manager is responsible for collecting rent, they follow a clear process in accordance with the law. Aside from the initial fees that you need to pay when buying an investment real estate, you also have ongoing costs like council and water rates, insurance, body corporate fees, land tax, property management fees, and maintenance and repair costs. These expenses are usually tax deductible. When it comes to insurance, you must not only take out building insurance, but you should also consider landlord insurance because this will protect you if a tenant damages a property or leaves without paying rent. Repair and maintenance costs should also be factored into your budget. Sure you can get rid yourself of property management costs if you choose to manage your investment property yourself, but in my mind, this is a sure way to disaster. 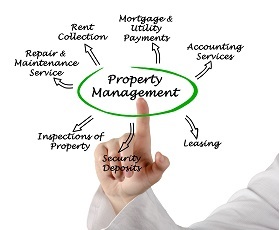 Property managers can set the right market rental rates and collect rent payments on time. They can also advertise your property astutely to avoid long vacancies. When it comes to tenants, property managers can screen them and manage all aspects of the landlord-tenant relationship. They also often have connections with contractors, suppliers and maintenance workers, if ever you need one. Property managers are also knowledgeable with housing regulations and property laws, so you can be sure that your properties are always complying with them. It should come as no surprise that getting a good team around you will be an important investment and not an expense and should allow you to build a property portfolio that will go a long way to replacing their income in the future. At the same time, you must learn that property investing is not a get rich quick scheme and to achieve your future financial goals you will have to slowly build a substantial asset base and not chase short-term cash flow like many beginning investors do. Formulate a plan: understand your end goals – what you want to achieve – and then make investment decisions accordingly. Be cautious: You’ll find everyone is happy to give you advice. Rather than listening to well-meaning friends, it’s important to only listen to people who have achieved the financial independence you’re looking for and who’ve maintained it through a number of property cycles. Understand the difference: between a sales person and an advisor. Many sales people are cloaked as advisors and while they suggest they’re representing you, in fact, they are representing the seller or a property developer. Only take advice from someone who is independent and unbiased rather than someone who is trying to sell you something. Be prepared to pay for advice: I’ve found that good advice is never expensive. In fact, it’s much cheaper than learning from your property investment mistakes. Not everything that glitters is gold: often when you start out it can be tempting to see opportunities everywhere. The problem is you don’t yet have the perspective to decide what is a good investment and what is not. The residential property market is worth well over six trillion dollars today and over the next decade, it will increase in value by billions and billions of dollars. 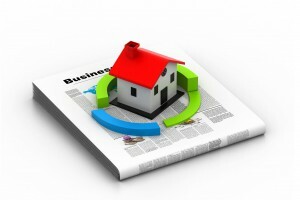 To read about property investment in your local city please see the below articles. Hannah – thank you so much for taking the trouble to leave your words of encouragement. I hope i’m helping you educate yourself. One of the strategies I would like to do to increase value is subdividing the land into 2 or adding a minor dwelling subject to regulations as the city I am its very difficult to buy cash flow properties.. Thanks for pulling together such a comprehensive guide Michael! Certainly something to bookmark and keep coming back to.